FAYETTEVILLE, TN—The Southern All Star Dirt Racing Series will be back in action this weekend with the series returning to the Southern Raceway in Milton, FL., on Friday & Saturday night Match 17th & 18th for the 1st Annual Bash at the Beach. Friday night will be a 40 lap event that pays $4,000 to win and on Saturday night it will be a 50 lap event that pays $5,000 to win. This will be the first appearance by the series at the north Florida track since 1990 when Larry Lambeth of Flomaton, AL., beat Mike Head by a half a car length to get his one and only Southern All Star win. Gulf coast race fans may remember the Southern All Star Asphalt Series that made frequent stop at the Five Flags & Mobile Speedway, but it has been 27 years since the series has been on the gulf coast and for many dirt fans in the region a chance to see super late models in action. 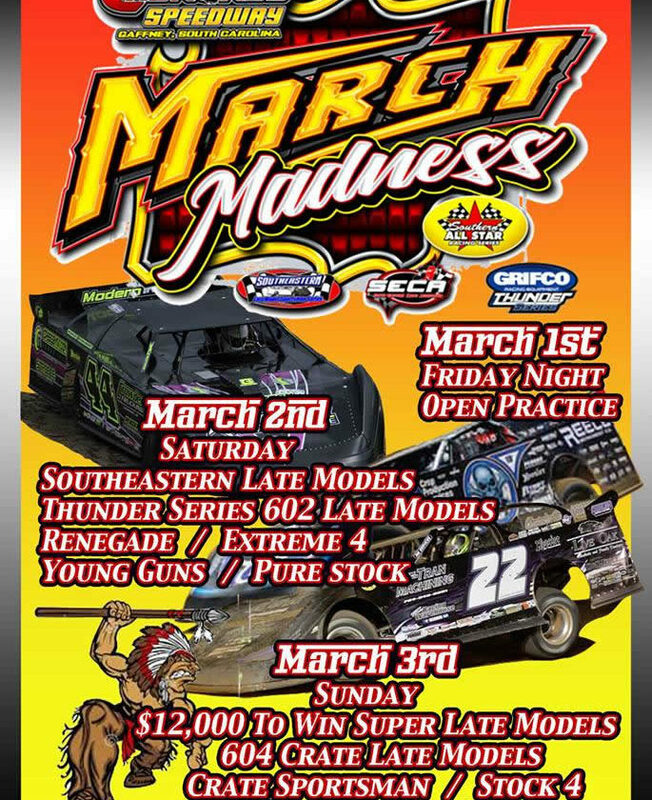 Promoter Tom Lowery & his wife Kim Lowery have worked hard in making this event happen and all the gulf coast racing fans should come out this weekend for a great weekend of racing with the Southern All Stars, but also all the local divisions of racing will be in action. Drivers that are expected to be in action this weekend in Brad Skinner of Spring Hill, TN., T J Reaid of Acworth, GA., Bo Shirley of Gadsden, AL., Clint Smith of Senoia, GA., Austin Horton of Newnan, GA., Tristan Sealy of Moultrie, GA., Tommy Taylor of Lascassas, TN., Eric Hickerson of Linden, TN., Kelly Guy of Thomson, GA., Ryan Crane Panama City Beach, FL., Jim Gray of Lynchburg, TN., Jim Manka of Savannah, GA., Josh Putnam of Florence, AL., plus many more drivers from all across the southeast. Action will get under way both Friday & Saturday with pit gates opening at 3pm and hot laps at 7pm. Tire Rule: Hoosier 1350, 1450, 1600, 70. 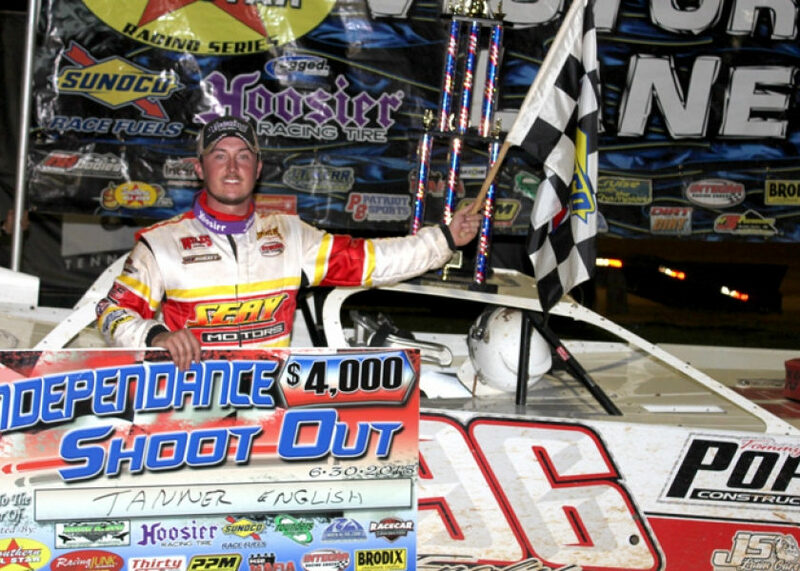 2017 CRUISE WITH THE CHAMPIONS/DIRTONDIRT.COM ROOKIE OF THE YEAR: T J Reaid; Austin Horton; Tommy Taylor; Tristan Sealy Eric Hickerson will establish points after third race.